Fine arts auctioneers Bonhams & Butterfields will host the firm's largest and most extensive auction of Fine European and American Furniture and Decorative Arts on Monday, June 14, 2010 in San Francisco. 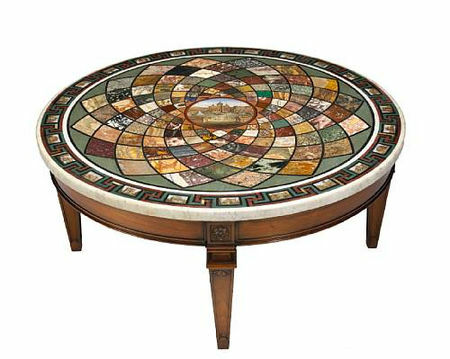 The late spring sale features American, English, French, Italian and Continental decorative arts, with an evening session devoted to furniture and decorations from the Ed Hardy San Francisco Collection. Highlights include property from private and institutional collections across North America – including property from: the Brinsmade Estate of Houston, Texas; the estate of Los Angeles philanthropist Nancy M. Daly; the Corinthian Studios Collection; and property of the Fine Arts Museums of San Francisco - sold to benefit future museum acquisitions. Jeffrey Smith, Vice President and Director of the Bonhams & Butterfields Furniture & Decorative Arts Dept., said, "We have put together a sale spanning several centuries and continents ranging from 16th century Renaissance cabinets to 1960s Italian modernist furniture with a special evening session offering the collection of Ed Hardy San Francisco." 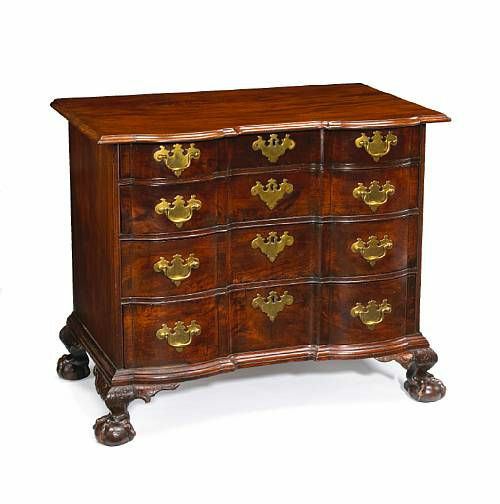 One sale highlight is the important 18th century Harris family Boston Chippendale mahogany chest of drawers, expected to attract strong bids, estimated at $80/120,000. 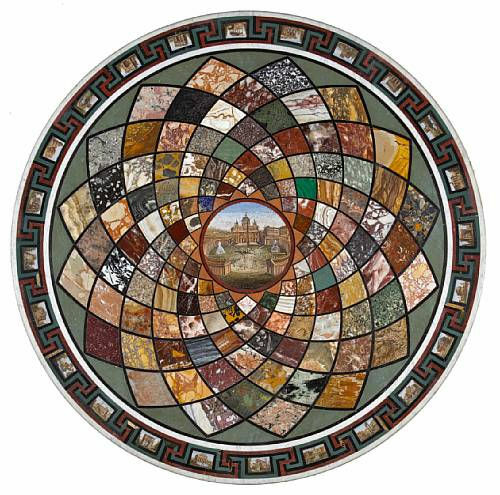 The current owner David Holmes is the co-founder of the Harry & David Company in Medford, Oregon. William Harris, of Boston built the masts for the frigate Constitution. 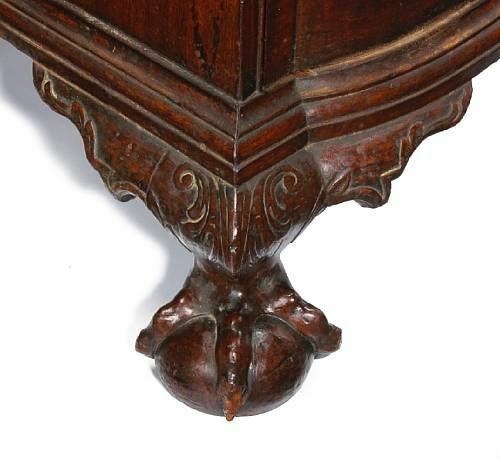 A secretary bookcase with similarly carved articulated knobbed claw foot and notched foliate carved bracket signed by George Bright is with the Boston Museum of Fine Arts, as well as the carved feet and bracket on the Alsop Secretary, with the Detroit Institute of Art ascribed to Bright. Silver collectors will have the opportunity to bid on a rare silver flatware service of San Francisco historical provenance. 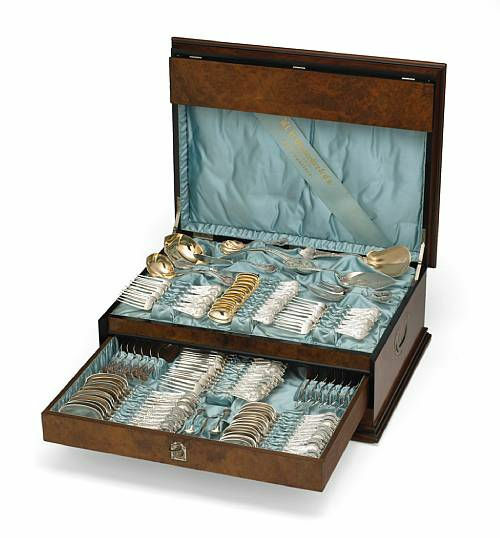 The 84-piece set was presented to San Francisco Guards Brigadier General John Hewson in 1875 (est. 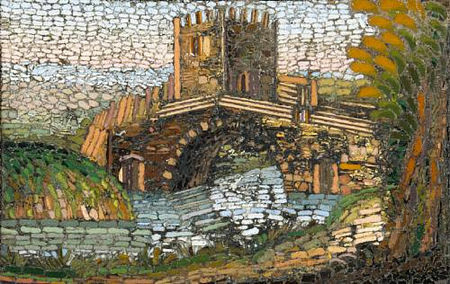 $35/40,000). 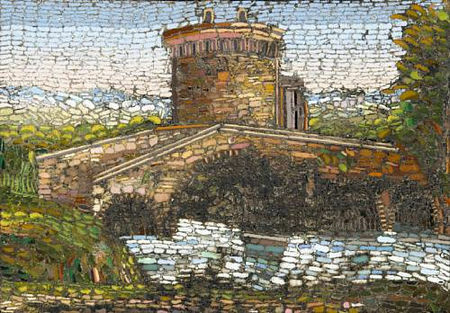 Comstock, with crest, the canteen with silver plaque engraved: "Presented to Brigadier General John Hewson, Jr., by the Com'd Officers of the No C Second Brigade, San Francisco, Feb'y 2nd, 1875"
From the Estate of Nancy M. Daly, one of Southern California's most energetic activists on behalf of abused and neglected children and an avid arts supporter, come a pair of weathervanes: a late 19th century patinated gilt copper cow (est. 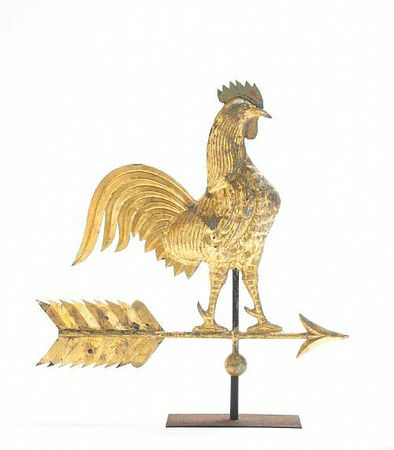 $7/9,000) and a gilt copper rooster (est. 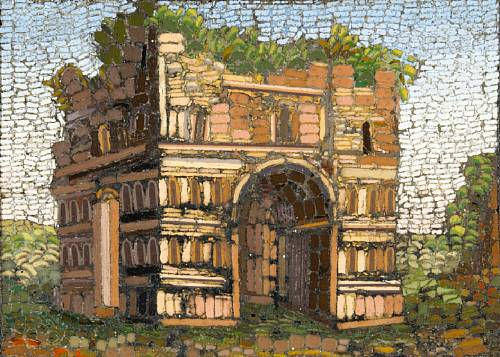 $6/8,000), both expected to intrigue Americana collectors. 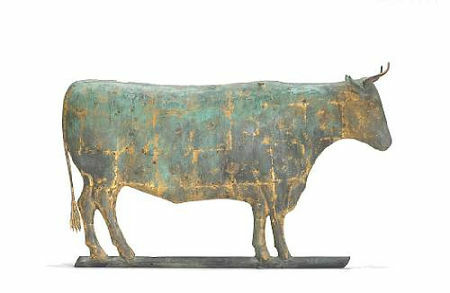 Bonhams is pleased to offer property from the Estate of Dr. and Mrs. Alan Brinsmade of Houston, TX. According to Jeffrey Smith, "Their collections represent decades of seeking out notable and fine decorative arts and paintings from around the world." 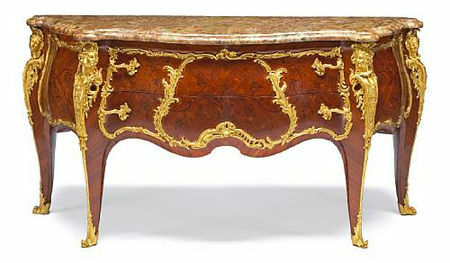 Highlights include an early 18th century Louis XIV boulle marquetry commode (est. $30/50,000) and a very rare Ming dynasty gilt bronze mounted celadon jar. 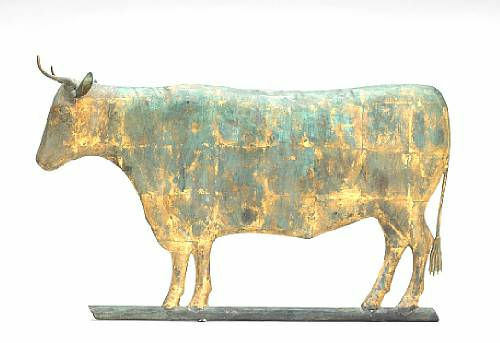 Provenance: Purchased 1969 from M. Desarzens S.A., 29 Rue Centrale, Lausanne, Switzerland. 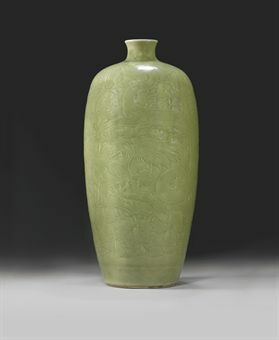 Footnote: For similar celadon glazed jars ascribed to the 14th century, see Regina Krahl, Chinese Ceramics in the Topkapi Saray Museum Istanbul (Sotheby's, 1986), volume 1 , cat. nos. 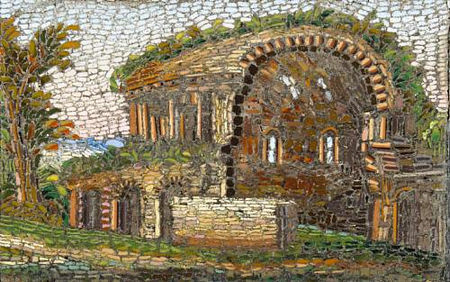 212 and 213, p. 292 and color plate p. 215. From a Pacific Northwest collector is a very fine and impressive Paul Sormani commode (est. 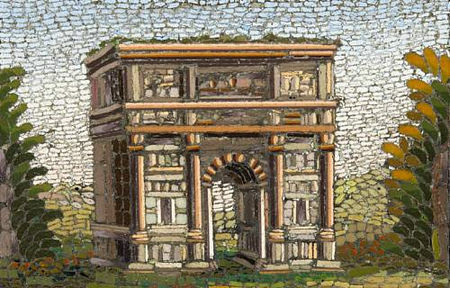 $50/80,000). Another piece stamped Sormani is a fine Louis XV style gilt bronze mounted kingwood bureau plat, expected to bring $10/15,000. Paul Sormani is among the elite of the 19th century furniture makers, his superb craftsmanship is distinguished by exquisite gilt bronze decorations. 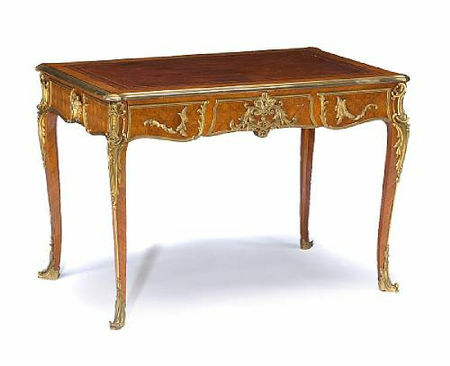 Born in the Kingdom of Lombardy-Venice in 1817, Paul Sormani, is counted among the most elite Parisian ébenistes of the 19th century, inspired by the furniture of Louis XV and XVI for his meubles de luxe. 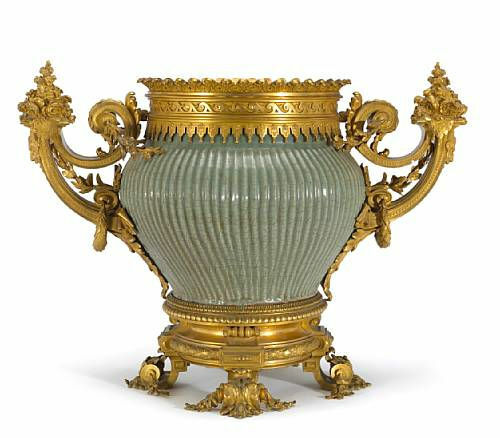 Recognized as the artistic heir to Andre-Charles Boulle, Sormani was respected around the world due to the exposure he received from numerous international exhibitions, including the Exposition Universelle in 1867 in which he received a medal for his glorious designs. 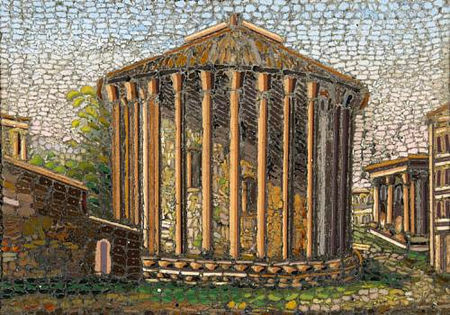 His affluent clientele included the Vanderbilts and Empress Eugenie. 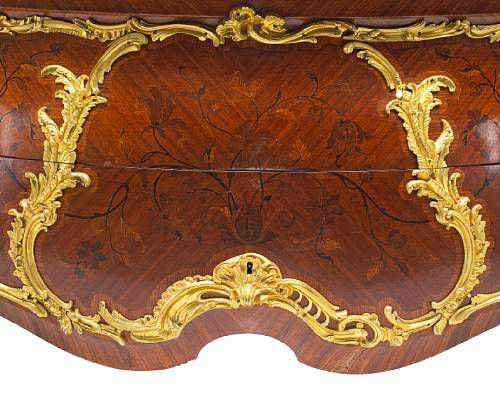 Paul Sormani is among the elite of the 19th century furniture makers whose superb craftsmanship is distinguished by exquisite gilt bronze decorations. 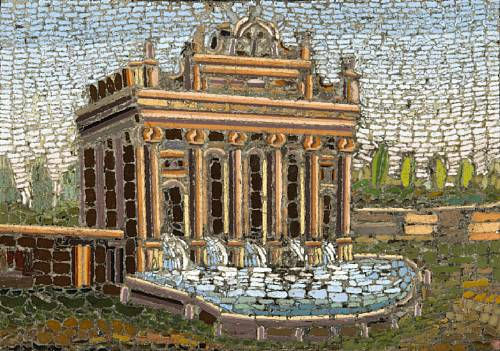 The work of the Royal maitres menuisiers et bronziers of the 18th century were his inspiration. In 1867 he set up his workshop at 10 rue de Charlot, Paris. After his death in 1877 Sormani's son Paul-Charles took over the business and later moved it to 134 boulevard Haussmann. A highly important large mid-19th century Italian pietra dura and micromosaic table top is included in the auction's Italian decorative arts section. This table top, possibly from the Vatican workshops, is inlaid with 25 micromosaic scenes of famous Roman sites (est. 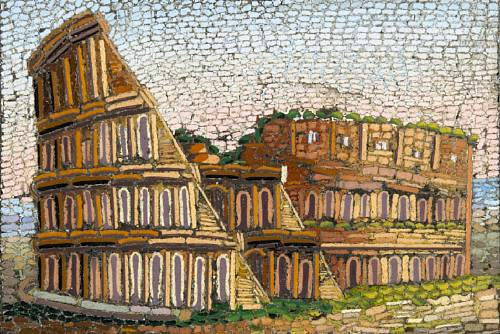 $80/120,000). 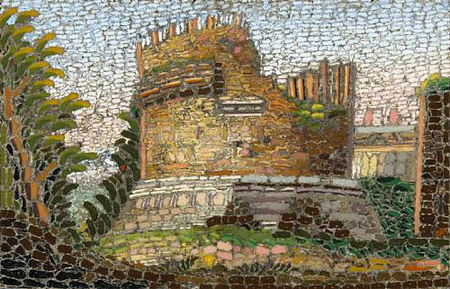 Notes: The ancient technique of mosaic was revived in Europe during the 16th century after Roman antiquities, including mosaics, began to be unearthed in archaeological excavations. 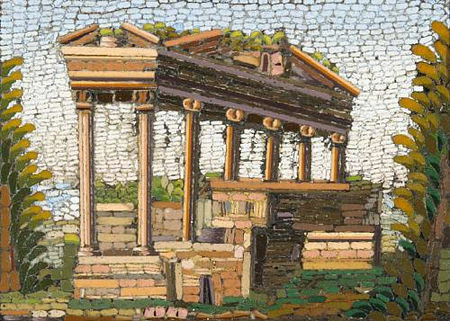 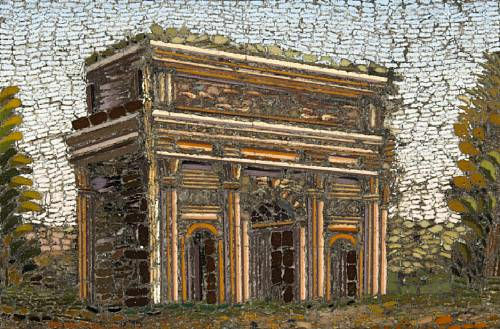 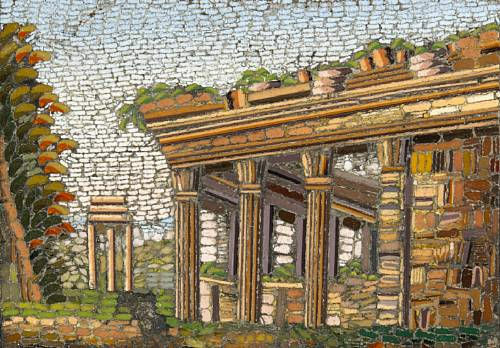 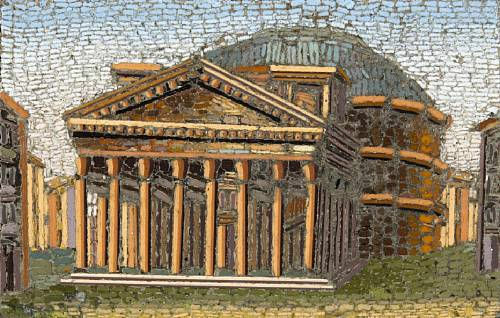 Techniques developed and improved, with mosaic images becoming increasingly subtle as the individual glass pieces, known as tesserae, became smaller, and the range of available color pigments grew larger. In 1588 Ferdinand de' Medici established the Grand Ducal workshop in Florence, which supported and patronized the art of hardstone mosaics. 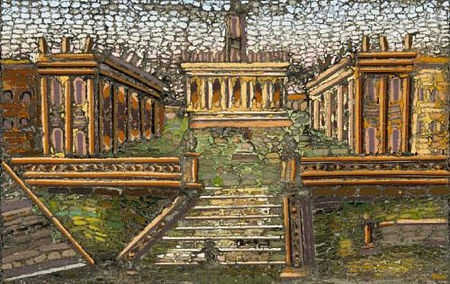 Soon craftsmen were attempting to create the perfect 'stone paintings' through the clever exploitation of the natural variations in pigment of the stones. As techniques quickly improved, the mosaics became more figurative than geometric. 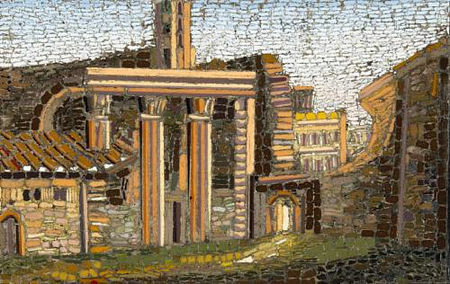 In the 18th century the glass micromosaic technique was developed in the Vatican Mosaic Workshop in Rome. 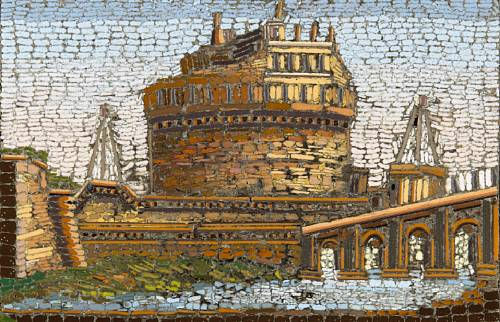 The first recorded showing of the new technique, mosaico in piccolo, as it was called, was in 1775. 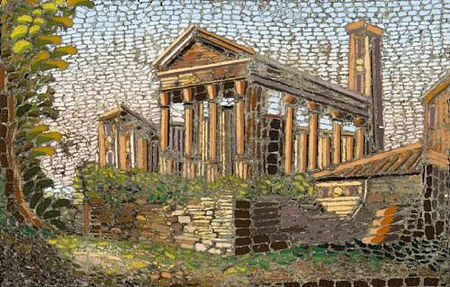 Incredibly, there were 1,400 glass bits to the square inch. 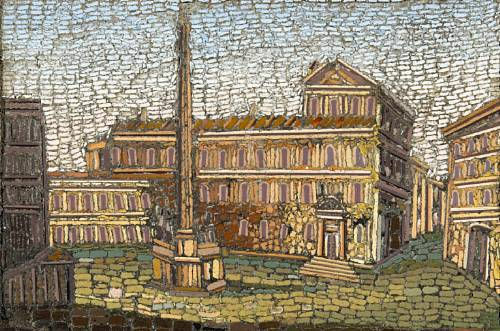 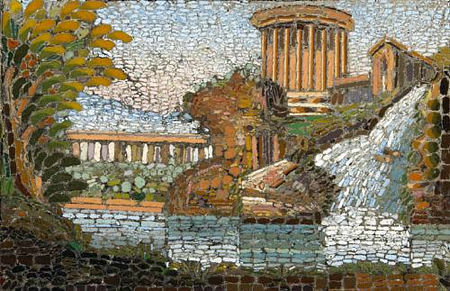 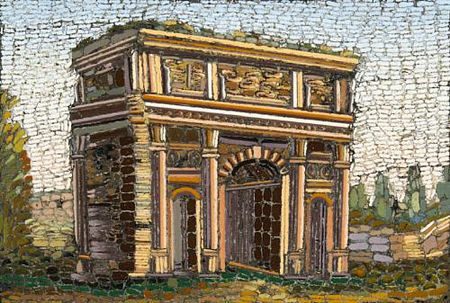 The workshop produced micromosaics depicting popular attractions of Classical Rome which were popular souveniers with the Grand Tourists of the 18th and 19th centuries. The offered lot is similar to a table top commissioned by Tsar Nicholas I (reigned 1825-55) depicting sites he visited on a tour of Italy. It may have been commissioned in a similar spirit, in order to commemorate an Italian trip including visits to popular Roman monuments. 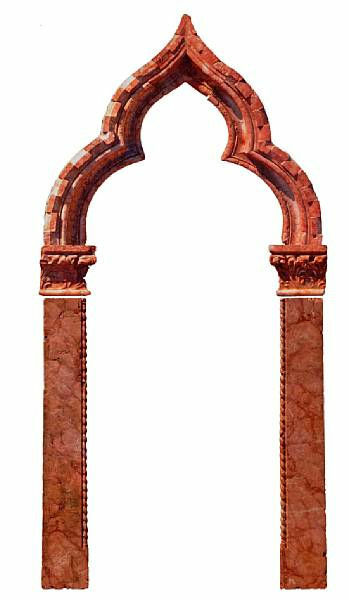 An interesting trio of Venetian Gothic Rosso di Verona window surrounds are each estimated at $20/30,000. 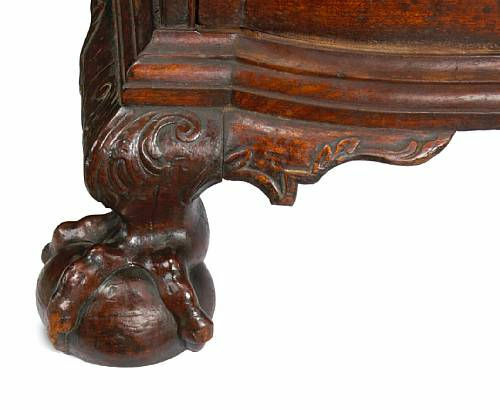 These 10 to 12-foot high carved surrounds were imported from Italy at the beginning of the 20th century by the architect Addison Mizer, intended for installation in a Palm Beach, Florida project for John S. Phipps. The surrounds were discovered during a demolition of the estate after Mr. Phipps' death in 1961. 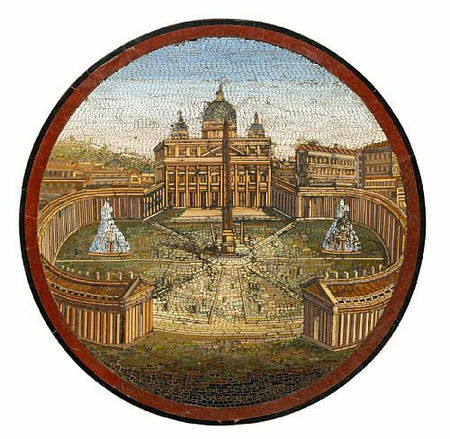 Note: This and following two lots were brought from Italy to the United Sates at the beginning of the 20th century by the architect Addison Mizer. Mr. Mizer planned to include these arches (and four others from the same set) in Casa Bendita, Palm Beach, Florida that was being constructed for John S. Phipps. It was decided at a later point not to use the arches and they were stored underneath the villa. 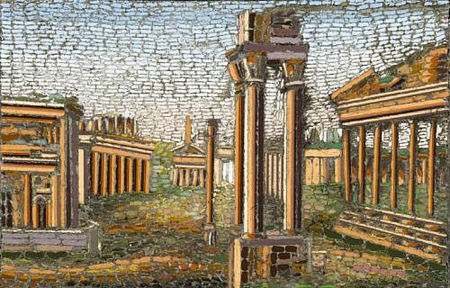 After Mr. Phipps' death in 1961 the house was demolished and the arches were discovered and moved to another part of the estate. The current owner of these arches purchased them from a direct descendant of John S. Phipps in 2005. 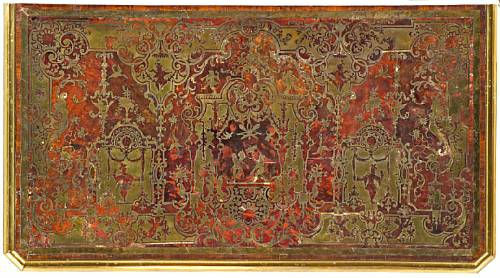 The sale's evening session features property from the Ed Hardy San Francisco Collection. 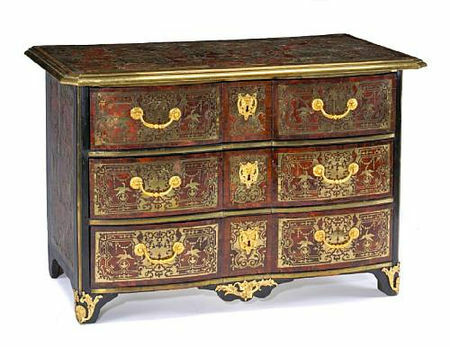 Ed Hardy is one of the most important dealers of decorative arts internationally. 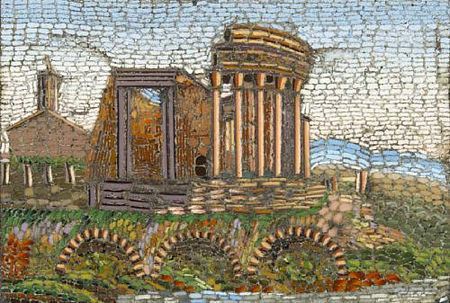 His exquisite eye brought together 17th century Roman giltwood tables with mid-century design, including Italian and French art deco and modernism. 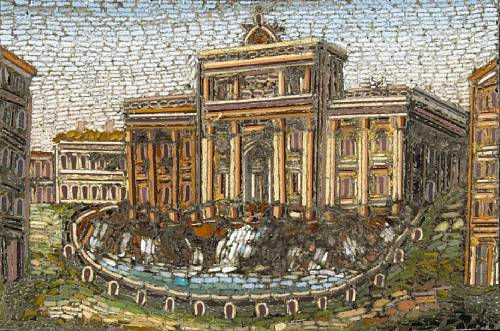 The collection includes Hellenistic marble fountain masks (some with W.R. Hearst provenance), Murano chandeliers, Chinese ceramics, American modernist furnishings, carpets and unique objets d'art. 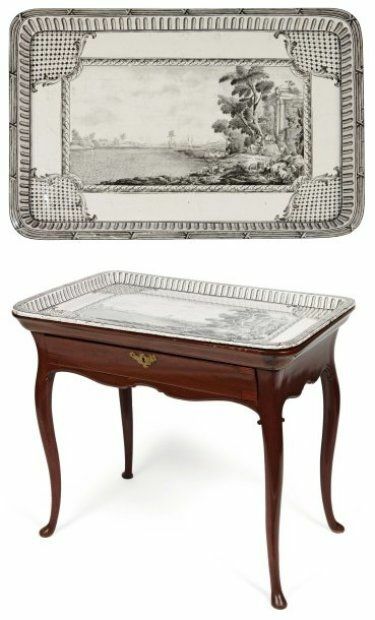 The auction previews open in San Francisco on Friday, June 11th at Noon and continue daily until the auction on Monday, June 14th at 10AM, the evening session, devoted to the Ed Hardy Collection, begins at 6PM.